By Clemente Lisi – NEW YORK, NY (Jul 2, 2018) US Soccer Players – There’s a thinking in soccer these days that a club really is only as good as its training facilities. A few years ago, Premier League clubs decided it was important to either build or upgrade their training centers. Some of the biggest club teams in Europe also have them to keep their players competitive. AC Milan, for example, was one of the first clubs in Italy to invest in a state-of-the-art training facility. The construction of Milanello in the early 1960s has been widely credited with aiding the club through its successes of that decade and again in the late 1980s and early ‘90s. Milanello, with its six grass fields and indoor gym, truly was ahead of its time. Over the past two years, five MLS teams have made considerable financial commitments towards similar facilities. 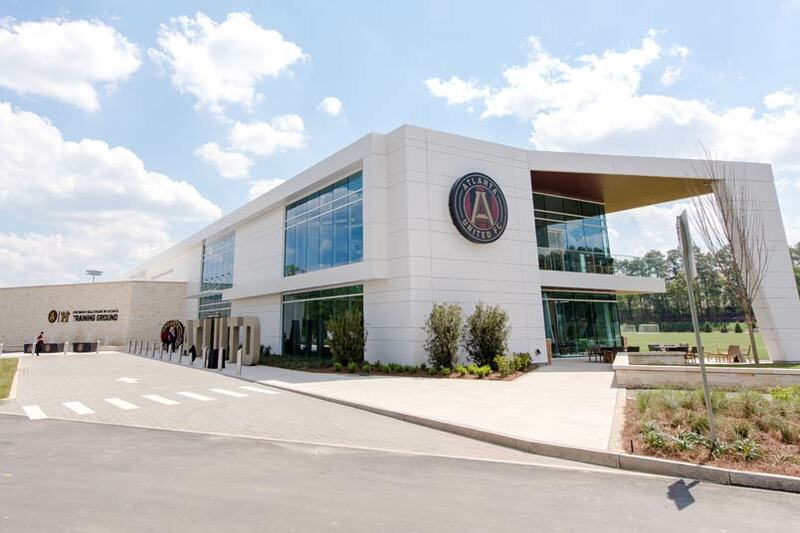 Last year, Atlanta United FC, an expansion club at the time, opening a $60 million facility. This year alone four other teams – Los Angeles FC, New York City FC, Real Salt Lake, and Sporting Kansas City – have gotten in on the training-facility craze. The phenomenon is a departure from how American soccer teams operated just a few years ago. College fields and decaying structures were the norms. When it came to MLS teams, hand-me-down facilities were the norm. NFL facilities, however, were always the standard bearer, often the place where European clubs set up shop in the summer during lucrative North American tours. Now, MLS has finally entered the modern era when it comes to training facilities. It's about time that this global soccer trend – and one that American sports teams have enjoyed for years – has finally spilled over to MLS. Times really have changed when it comes to attitude and where to spend money. These training facilities often reflect the unseen groundwork and commitment that goes into creating a better product. Who can blame MLS teams for also wanting in when it comes to modern amenities, especially because Academy teams also need a place to train and play. With stadiums getting better, so have training centers. Atlanta United’s ownership found inspiration from Tottenham Hotspur. Before joining Atlanta United, club President Darren Eales oversaw Spurs’ design and construction of the Enfield Training Centre, which officially opened six years ago. The facility became a template for Atlanta’s Children’s Healthcare of Atlanta Training Ground in Marietta, which opened in March 2017. Located on 33 acres, the facility includes six full-size fields (three natural grass and three with FieldTurf surfaces) with a gym and hydrotherapy plunge pools. The interesting part of training facilities is that fans often never get to see them. It’s not a place for the public to visit. Rather, these places serve as a place where teams can display their club pride while also allowing the players to train and recover from injuries in a place that is welcoming and effective when it comes to game preparation. While there is no guarantee that teams with modern facilities do better, it often helps in signing players and exerting its influence on the game. Clubs who have built such facilities say this is no vanity project. In the case of Sporting KC’s new facility, the place will also serve as a training center for the US National Team as well as spearhead the game’s growth in this country. What makes this facility unique is that it serves club as well as country. Known as Pinnacle, the training center is for players, coaches, and referees. Its amenities include five regulation-size soccer fields, a sports performance lab, indoor gym and classroom space. The trend has also been for expansion teams to invest in a training facility. FC Cincinnati, unveiled plans for such a facility just last week. The USL club, which will join MLS next season, has proposed the construction of the $30 million center on 23.6 acres that will include full-size grass and artificial fields, a goalkeeper training area, and a separate building for Academy teams. Facilities like these will also serve a purpose when the United States co-hosts the 2026 World Cup, alongside Canada and Mexico, when National Teams from around the world will be looking for places to train during the tournament. These centers will show the United States globally as a soccer nation that cares and believes in the future of the sport and committed to having better players and coaches in the future. 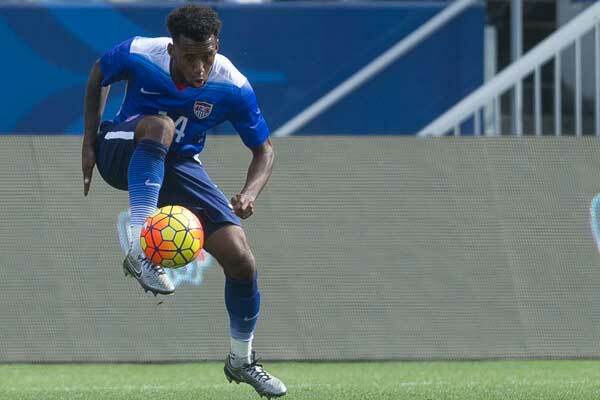 Q&A with Kellyn Acosta: "We have to take it game by game"